How big, how small, how heavy, and how strong is an Envirosax? 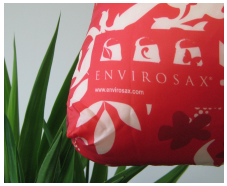 An Envirosax Graphic Series bag is 19.7" by 16.5", and folds up to the size of a piece of sushi, 4" by 1.5" diameter. It weighs in at just 1.4oz. An Envirosax can quite comfortably hold two plastic grocery bags of shopping, and has been tested to hold at least 44lbs. Please be careful when lifting heavy bags and be aware of your limitations. Lifting weights heavier than you can comfortably handle can lead to serious injury. The specifications for the bags in the other series vary slightly from the information given here, and are given at the top of each products page. How should I wash my Envirosax? As with most things, the more care you take washing your bags, the longer they will last. Envirosax recommends a 20 degree hand wash, and a line dry. The washing instructions are printed on each bag. We do not recommend that you machine wash your Envirosax as not only does machine washing increase your ecological footprint, but will also eventually break down the PVA coating that gives the Envirosax its waterproofness. Machine washing will also place additional stress on the bag&apos;s stitching and shorten its lifespan, which goes against the fundamental philosophy of Envirosax which is to promote re-use. How do I fold up an Envirosax? How Do I Know My Bag Is A Genuine Envirosax? Today, there are more reusable bags on the market than ever. To make sure you are buying an original Envirosax, look for the Envirosax logo on the bag or swing tag. 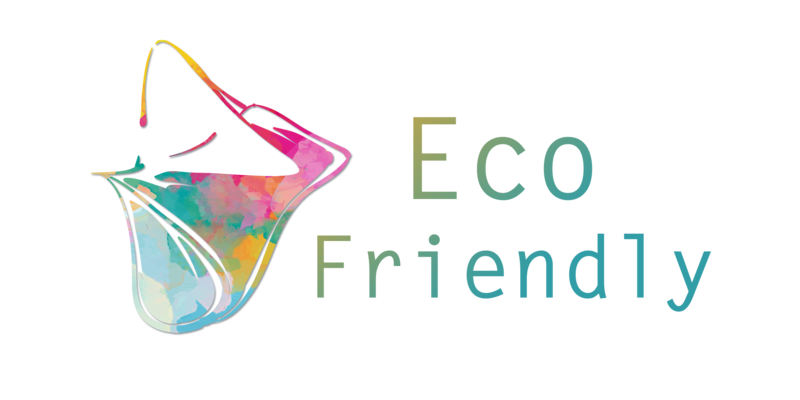 Buying an original Envirosax gives you the strongest, most fashionable, and most compact reusable bag available, as well as the confidence that you are supporting a company whose green philosophy and philanthropy has paved the way since 2004. Why doesn&apos;t an Envirosax have a gusset (square bottom)? A bag made from nylon or polyester will not stand up on its own. A nylon or polyester bag packed correctly full of groceries propped up against another bag, will stand up on its own, with or without a gusset. A rigid polypropylene bag will stand up on its own but cannot be rolled into a small package like an Envirosax and stored in a pocket or glove box of a car, and as such you will find people everywhere who own lots of them but keep forgetting to take them to the store with them. A reusable bag is only having a positive impact on the environment if you are actually reusing it. If an Envirosax is packed correctly with square and rectangular items at the bottom of the bag, and irregular shaped items at the top, the bag will have no problem staying upright in the boot of the car or on your doorstep. A few people have wondered how these compare to Envirosax so I&apos;ll give my best comparison. The Envirosax are slightly lighter weight and fold up smaller, and as such I&apos;m more likely to keep them in my purse. Why are Envirosax made from polyester? I thought Envirosax was trying to reduce plastic bag usage. It&apos;s true, Envirosax are made from polyester which is a plastic. The fundamental problem with conventional plastic bags is not that they are made from plastic, it&apos;s that they are not designed to be re-used. We have outlined some of the most serious problems associated with disposable bags on our Plastic Bag Facts page. It is highly durable, which means each Envirosax will last for years. It is relatively inexpensive, which means Envirosax are affordable for anyone, which will help spread the message of re-use to people of all incomes. An Envirosax is superior in strength and design to your average polypropylene green bag. Envirosax are "a move in the right direction", and are targeted at people who would normally not use an eco-friendly bag. We are making the whole concept of reusable bags (previously dull, boring and ugly) something which is trendy and fashionable, and thus spread the message of re-use to as many people as we can.